Find Marvin Infinity windows reviews on this fiberglass window from consumers and industry experts. This window line is sold as a replacement window and billed as a high end option that looks like a wood window but offers superior strength and energy efficiency. I was completely satisfied with our Infinity windows. They are (nearly) as beautiful as our outdated 1930s style wood double hungs. They look great and the workmanship on these fiberglass windows is top-of-the-line. I love the idea that they look almost as good as wood, with the great strength of fiberglass, high energy efficiency and they are almost maintenance free. As far as air infiltration goes, the Infinity has a very high tensile strength and rigidity and I would bet it’d outperform the Sunrise Restoration and the Alside Excalibur once installed. I have to check on this but I believe that it’s AI rating is worse in the lab than these two models, which goes to show how different AI can be from the testing to the real world environment. See all of our Sunrise window reviews. Marvin is at the higher end of the price scale. Consumers will spend b/n $350 and $1050 installed. These costs include the windows, materials and installation. For more detailed information, see our page on Marvin windows prices and see their lower end fiberglass Integrity model. Vinyl windows are very popular here in Northern VA, where fiberglass windows is an overkill. But when looking at replacement windows I don’t think the BF Rich stands up to the competition, there are so many other good options out there including the Infinity from Marvin. Personally I feel the Infinity is a much better options especially if you want a natural looking window with stunning slim lines. As I recommend to all my customers, take the time to find out the performance numbers of any window before making a decision. The VT rating is an important one, this one determines how much light can flow through the window and in my opinion, the BF Rich window is way too dark. The Infinity’s have a thinner frame which allows for light flow even though the glass is darker than the BF Rich, but the BF Rich has a thicker frame. Any VT range for light flow should be higher than .44. See additional BF Rich windows reviews. I have installed both the Milgard Ultra and the Marvin Infinity – I would say this; the Casements are probably equal in quality but I’d go with the Infinity in the double hung. I think it’s a better window. Milgard pulled their double hung window (twice actually) in order to fix design flaws and was off the market for 3 years. There were issues with the compression jambs (water and air could pass through), paint finish, poor screens, etc. Milgard does offer a better warranty, but unfortunately their customers tend to need it more often. 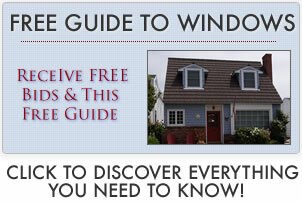 See additional Milgard window reviews.